When was the last time you were on a train? Well, it does not matter because Train Sim 2019 is ready to give you the train ride of your life. The game offers you total control of more than 50 modern and historic train. You choose the one that appeals most to you! Train Sim 2019 is perfect for those who are looking to experience a unique train ride or those who want to explore the perfect train riding environment. When you play the game, you can drive the trains, pick up passengers, seat as a passenger in other trains, carry freight and observe the trains from the ground. We all know that trains go through terrains. The best thing about this game is that it offers more terrain options than you can be able to count. All of the terrains in the game are geographically realistic and will give you different experiences at different times. This is what makes Train Sim 2019 such a unique game. You can choose to take your train to the mountain pass, India, subway, airport, metropolis, and many other places. Just choose and the game will take you there! 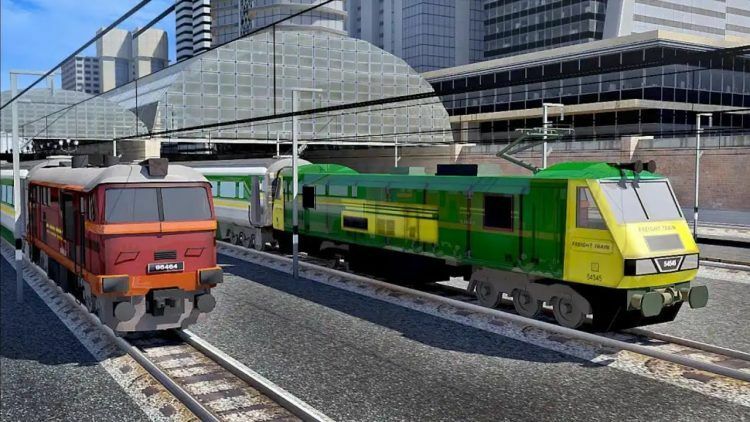 This train simulator game had a handful of the best features. Apart from an abundance of realistic 3D train types, the game also boasts train cars, exceptional 3D scenes, a subway and custom environments that you will not necessarily find in other similar games. Train Sim 2019 does not disappoint when it comes to the train derailments and controls. You will never feel like you are stuck or lose control altogether. The game has been designed flawlessly and will meet all of your needs. Train Sim 2019 has a specific set of instructions that all players should follow. It is important to take time and familiarize with the instructions and how the game should be played. After all, if you cannot understand the game then you cannot play it well. Do not be content with your current records, you can always do better. To make the game much more fun, you should try and outdo yourself. Check your current records or rating and aim to do much better. This way, you will enjoy the train more and experience different facets of the game. When you go through various levels of the game, you will be able to gain a number of achievements that will put you at the top of the player list. You will be able to show off to other players while equally bettering your skills. Your train can always use an upgrade and an array of new features. The more you play and succeed, the easier it will be to unlock the features. Upgrades are highly important because they will affect the overall speed and performance of your train. Go to the search box in Bluestacks and type “Train Sim 2019” without the quotes, of course. That is it! You can now enjoy your freshly installed copy of “Train Sim 2019” on your favorite PC!